In November last year National Australia Bank (NAB) announced a bold and urgent ambition: to directly hire 600 technology specialists before the year was out. The effort would begin “immediately” the bank said, kicking off with the hire of two technology executives; former Digital CIO of HSBC Group London Yuri Misnik and long-serving Scotiabank tech chief Kyle McNamara. The bank’s talent acquisition team laid on extra resources to mount the global search. “We need to move now,” said NAB’s chief technology and operations officer (CTOO) Patrick Wright at the time. 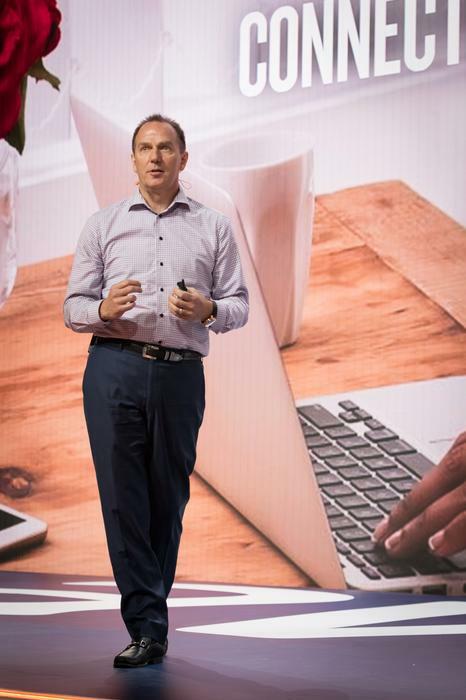 The hiring of hundreds of software engineering, data, architecture and security was achieved “within a whisker” of the target in early January, Wright told CIO Australia at the Amazon Web Services summit in Sydney last week. The CTOO describes the in-sourcing play in fighting terms; specifically, the American Revolution. “I don’t know if this resonates in Australia but in America we talk about patriots and mercenaries,” says Wright, who moved with his family (his wife is Australian) from Philadelphia to Melbourne to take the role in April last year. NAB’s hiring spree bucks a years-long trend within the bank and the wider sector towards outsourcing IT workers. The bank in 2010 outsourced hundreds of IT roles to IBM. Rival ANZ made a similar move, outsourcing more than a hundred tech roles to Capgemini in 2012. In the same year, Westpac sent IT jobs offshore, with then CIO Clive Whincup saying there “simply aren’t enough people” in Australia with the necessary skills. Commonwealth Bank of Australia (CBA) in September last year was reported to have briefed cyber security staff that some of their jobs would likely be taken by overseas vendors. 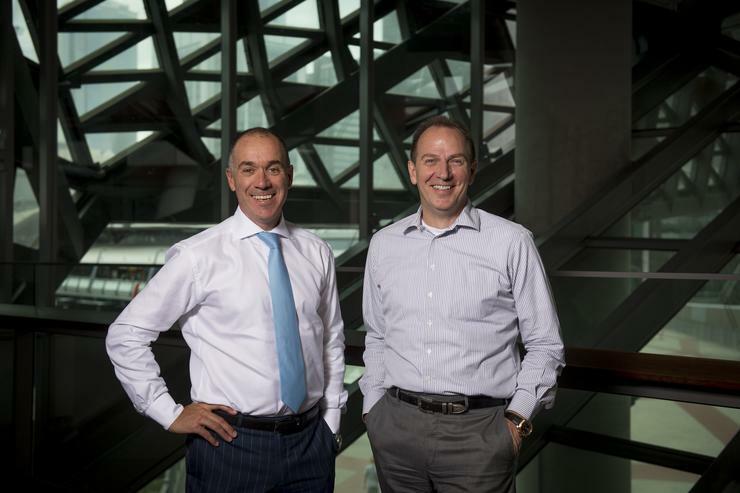 NAB’s move works to “rebalance the shift from outsourced suppliers based in Australia and overseas, to bring talent back inside the bank in NAB’s Australian offices to increase competitive advantage” the bank says. Bringing technology professionals in-house has a number of advantages, says Wright, who resigned as Barclaycard’s global chief operating officer to take the role. There are the economic gains: “If I have a person that works for Accenture and a person that works for NAB, because Accenture has their own profit margin and with Accenture I have to pay GST, it’s actually cheaper [to employ directly] and I get someone who is dedicated to our long-term vision,” Wright says. There is also the spiritual advantage. A NAB employee has more interest in the bank’s success than a contractor, Wright says, much as the US patriots fighting for their own independence were more driven than the mercenaries hired by the foreign British Crown. “There’s something about having people that bleed our blood, and are fighting for their own shareholders, as opposed to having third parties who have their own shareholders as their primary focus,” Wright says. In-house tech workers “believe in what we want,” he adds. “You find they work harder. They’re more dedicated, they think long term." The in-sourcing move is not a wholesale one. There are some roles that it is unnecessary to have on the payroll. Take the individual that cleans out the dustballs from data centre servers, for example. “I don’t need those people to work for me. It’s an important activity but it’s not going to differentiate me in the marketplace,” Wright says. On the other hand, “the people who innovate customer experience around payments should work for us. Because that’s how we’re going to be different and that’s where we want to invest and hire the very best people we can to innovate in those spaces,” he adds. Decisions about in or outsourcing roles in the “thousand shades of grey” in-between will be made with competitive differentiation in mind. As well as hiring in technology workers, NAB is also training up existing staff to become tech professionals. On the morning of CIO Australia’s interview with Wright last week, the bank had launched its ‘Cloud Guild’ with the aim of upskilling more than 2000 employees in cloud computing. It’s here that vendors have a major opportunity to collaborate with the bank. The three to five day courses will be funded by NAB and provided by Amazon Web Services. The scheme will focus on architecture, security, developers, operations and big data. Savvy partners want to be part of NABs ecosystem, Wright says, and are willing to make investment in training. “And we’ll happily take because it allows us together, to end up with more technology focused people who can use their products more intelligently and other products as well,” he says. Similar efforts are underway across the Big Four. Westpac last year launched an internal IT ‘university’ with online courses on future technologies. In August, ANZ rolled out ‘scaled-agile’ approach to work, with training for hundreds of staff. In another initiative the bank encouraged its staff to become "their own little data scientist" providing easy-to-use tools for them to draw value from the bank's fast-growing data lake. CBA since 2015 has offered staff online cyber security courses, in partnership with UNSW. “It’s a case of us stepping into what’s happening around us, acknowledging it’s happening whether we agree or pay attention to it or not. We decided to pay attention to it and purposely change our company,” Wright says. NAB recently announced a record $4.5 billion investment into the bank over the next three years – with much of that funding directed to technology and digital priorities. “Our people are integral to the success of NAB, and this investment ensures they are enabled and backed to deliver their very best,” Wright says.